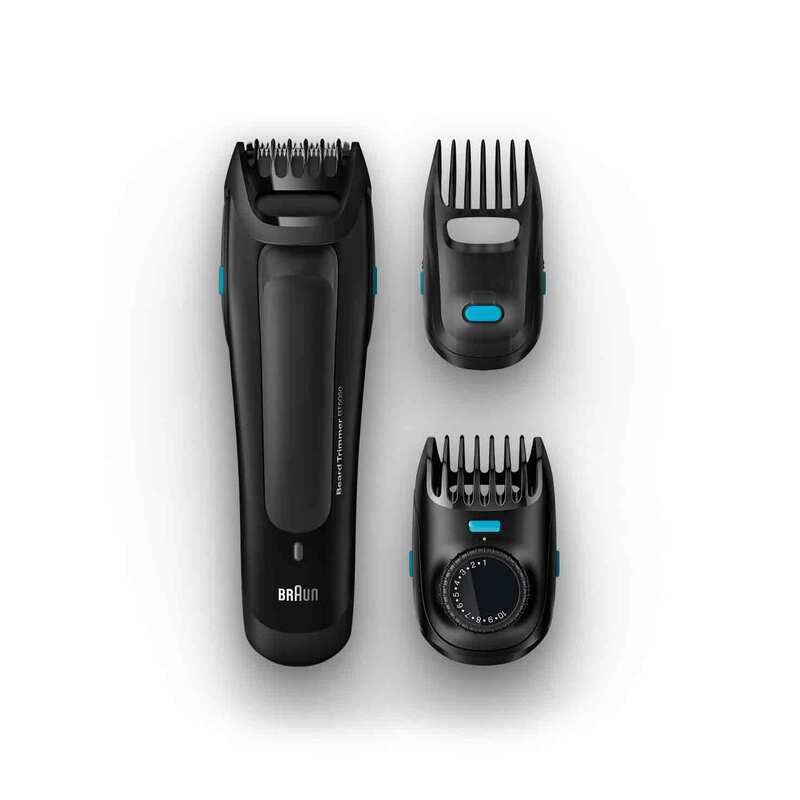 Beard trimmer BT5050 with 2 trimming combs for 25 lenght settings and soft pouch. 4x more precision for your style*. With precision dial for up to 25 exact length settings to create your style. 2 Click&Lock trimming combs make precise grooming and trimming easy. Two easy to adjust Click&Lock trimming combs for 25 precise settings. For results that are even, exact, reliable and repeatable. Dual battery system. Powerful performance, cordless or corded. For consistent results even in tough conditions, the dual battery system keeps trimming power constant. A full charge takes 1 hour and gives you 40 min. of cordless performance. A 5 min. quick charge is enough for 1 trim. This product is simple and easy to use straight out of the box. Compared with other shavers I find this a far more efficient/faster shave. No irritation and easy to clean. The only gripe I would have is that the hair can get caught in and around the blades slowing the shave down until you clear this out of the product. This trimmer feels great in the hand and offers many length possibilities. I highly recommend it. Amazing trimmer if you want a sharp beard. Great beard trimmer, the thing I liked most is the adjustable length which makes it so easy to choice the correct length, Instead if having lots of different heads which are easy to loose and are not ideal for travel. The trimmer comes with a travel bag which makes it looks smart and good for on the go, although I feel that the trimmer is quite chunky and heavy. I love that it’s rechargeable so you don’t have to worry about trying to find the correct batteries where ever you are.